Will Bajaj Auto's weak Street show be a one-off? 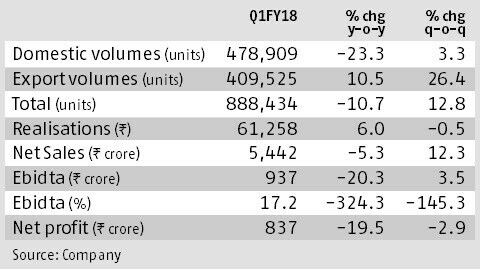 Bajaj Auto's June quarter results were below estimates, especially on the operating profit margin level, as lower volume growth and higher costs dented overall performance. Even so, the stock closed lower by only 0.2 per cent on Thursday, indicating the Street is taking cues from the one-off events of the past three-four months. Hope of better performance in the coming quarters and a good export showing also helped. Led by a 23 per cent fall in domestic volumes due to the disruption caused by transition to BS-IV emission norms, as well as the new goods and services tax (GST), overall sales volumes fell nearly 11 per cent over a year. This dented revenue, which fell five per cent year-on-year but came higher than expected, largely due to export performance and realisations. 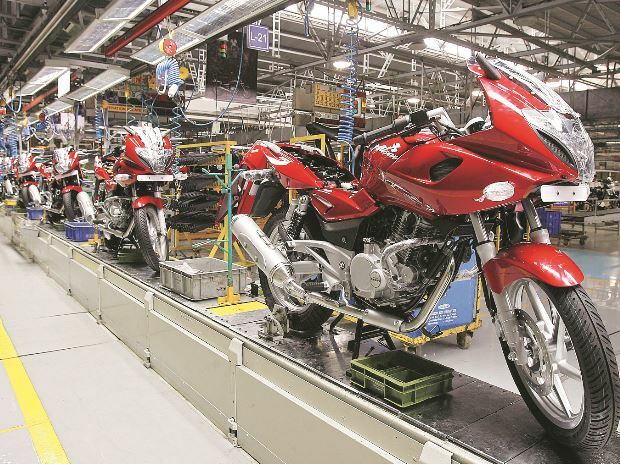 Realisations (up six per cent) improved due to a superior product mix and price increases on account of BS-IV motorcycles, and helped stem the fall in revenue to an extent. Higher raw material cost and increase in excise duty (expiry of tax benefits at the Pantnagar unit), however, led to a 20 per cent fall in operating profit. The latter's margin fell 324 basis points year-on-year to 17.2 per cent, worst since March 2009. The transition to GST also meant the company had to compensate dealers by Rs 32 crore for losses incurred since local taxes were not eligible for a set-off. The company had lost to the competition in the March quarter, with sales of its lower priced BS-III products much higher than the BS-IV complying vehicles. Further, higher wholesale volumes in the March quarter for the sector led to lower demand over the first two months of the June quarter, impacting overall volume for the industry. Bajaj Auto's domestic motorcycle market share thus dipped from 18 per cent in FY17 to about 14 per cent at the end of June. The company says restocking, introduction of new variants and sales promotion should help it improve in the September quarter. 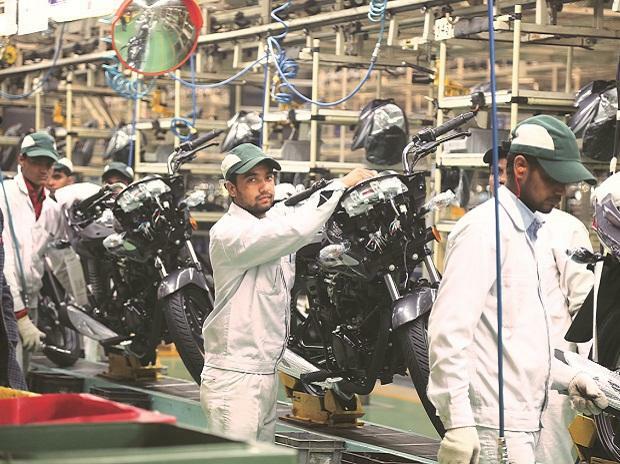 Analysts at HDFC Securities expect volumes to improve on pick-up in rural demand, new Pulsar/KTM variants and higher sales of premium motorcycles such as the Dominar 400. What helped on volumes was an improvement in export, up 10 per cent over a year and 26 per cent higher over the March quarter. The company had been facing pressure due to weaker demand from countries dependent on crude oil. It has, mas a result, been diversifying its export basket away from countries such as Nigeria and Sri Lanka into markets such as Poland, Malaysia and Latin America. These places are expected to help in growth of the export segment, 46 per cent of overall volume. 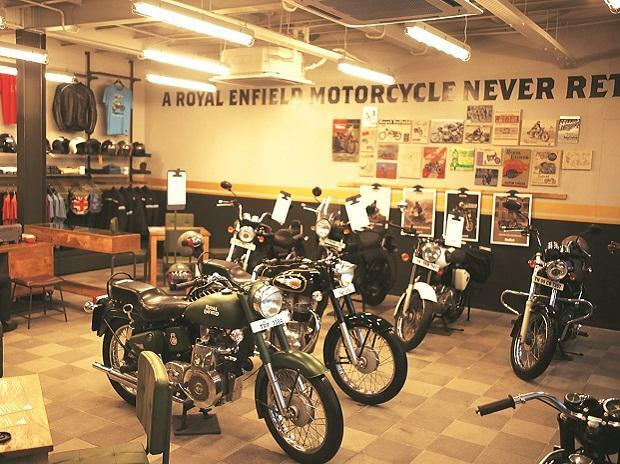 Despite the stronger rupee, the company has been able to maintain export margins, given the increase in volume mix towards high-end motorcycles, now 30 per cent of sales as against 25-26 per cent on a year-on-year and sequential basis. The other positive is on the commercial vehicle (CV) front, with the removal of restriction for new permits in Maharashtra and issue of new ones in Delhi. 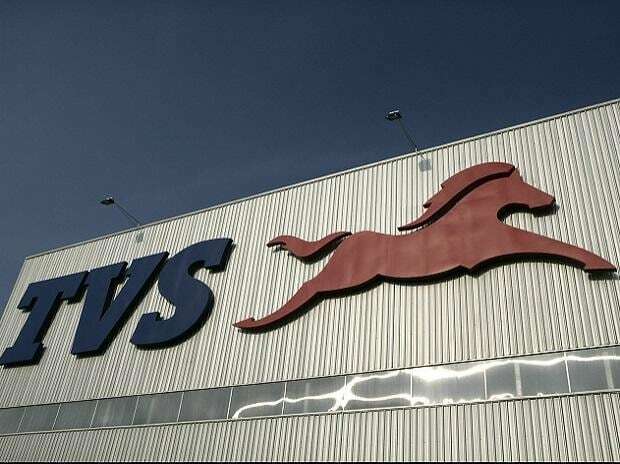 Though CVs are only 11 per cent of domestic volumes, they fetch higher margins than the motorcycle segment. Any improvement in volume here, as the management expects, will improve overall realisation and margins. Overall, if volumes bounce back as indicated by the management, the stock could see gains. Investors, though, should await signals pointing to sales improvement before considering a move in.